THE VISITATION FOR RITA RILEY ON THURSDAY, APRIL 11, FROM 5-7 P.M. AT PEDERSEN FUNERAL HOME IS CANCELLED DUE TO WEATHER. 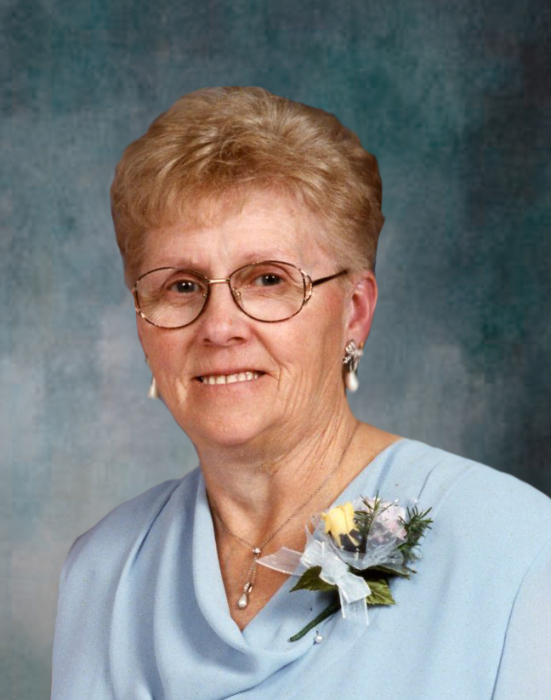 The funeral for Renata “Rita” Riley, of Morris, Minnesota will be held on Friday, April 12, 2019 at 10:30 a.m. at the Faith Lutheran Church in Morris, with Reverend Dell Sanderson officiating. Visitation will be on Thursday from 5 to 7 p.m. at the Pedersen Funeral Home in Morris, and Friday one hour prior to services at the church. Burial will be at the Calvary Cemetery, Morris. Renata “Rita” Gades, daughter of Frederick and Viola (Hoffman) Gades was born on February 15, 1938, in Tara Township in Swift County, Minnesota. She grew up near Danvers attending District #50 Country School and later attended WCSA in Morris, Minnesota. Rita was united in marriage to Leo Riley on August 24, 1975, at the Faith Lutheran Church in Morris. The couple made their home in Morris, where Rita worked as a waitress for several area businesses: the bowling alley, VFW, Legion Club, The Mets, and Kelly’s, and Ardel’s. Through the years, she also worked for the Morris Area School District as a van driver. Rita’s talents were also used baking and decorating cakes for many years. She enjoyed watching and attending sporting events and spending time with her family at stockcar races. Rita will be remembered as a hard worker, a good friend, and most of all, a loving wife, mother, and grandmother. her favorite time was spent with Chloe, Alisa, and Robbie. Rita died on Sunday, April 7, 2019, with her daughter at her side, under the care of Knute Nelson Hospice, at the Brandon Assisted Living Center in Brandon, Minnesota. She was 81 years old. She is survived by her daughter: Alisa (Robbie) Henrichs, and granddaughter: Chloe Henrichs, all of Evansville, MN; one sister: Lanora Sharstrom, St. Cloud, MN; one brother-in-law: Richard Tjosaas, Granite Falls, MN; two sisters-in-law: Pearl Gades, St. Cloud, MN, and Irene Gades, Benson, MN; and several nieces and nephews. Rita was preceded in death by her husband, parents, three sisters: Emmergene Ehrenberg, Wilma Tjosaas, and Nellie Sather, and two brothers: Delmar Gades and Willie Gades. In Lieu of flowers, the family prefers memorials given in Rita’s name to Faith Lutheran Church, of Morris. Pedersen Funeral Home is in charge of the funeral arrangements.